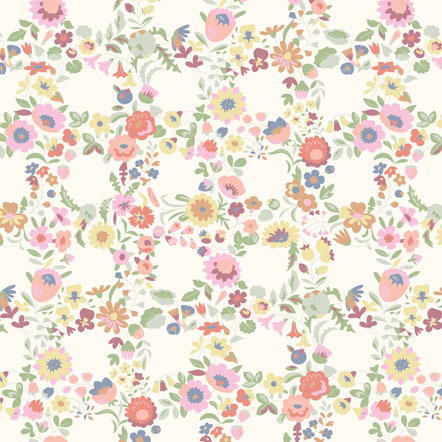 Bloom pattern is a gentle ornament of intertwined flowers that adds delicacy to things. The classic character of the fine pattern allows to use it on men’s clothing and accessories: shirts, handkerchiefs, lining fabric for jackets and overcoats. In larger scale, the pattern will work great on bedsheets and interior textiles. The ornament also looks good on articles tailored with a slant where the pattern is positioned diagonally.